This page contains links and information for ham & other amateur radio visitors to Breckenridge, Keystone, and all Summit County Colorado. Please contact me with any corrections or suggested additions to this information. * Note : The 146.790 Breckenridge Colorado repeater is part of the Colorado Connection linked statewide repeater system. Therefore, please try communication between two Summit County based stations on the other available repeater frequencies first. I am unaware of any GMRS repeaters in Breckenridge or anywhere else in Summit County Colorado. Please contact me if you know of any repeaters that should be added to this list. It seems strange to me that Breckenridge Ski Patrol and Breckenridge Snow Making would share a frequency, but it does seem to be the case. Also, The list I found on the other site shows Breckenridge Ski Patrol on 151.685 but I found them on 461.300. 463.725 468.725 Ski school? Also some ski patrol? 464.175 469.175 Keystone Patrol ("Keystone Ski Patrol" or "Patrol HQ" calls PHQ, which answers "Go for Patrol", real name addressing is also used, I've also heard Vehicle Maintainence on this frequency. 1050 is an accident). I use a Yaesu VX-7R Ham radio. The following links contain my radio set-up in .vx7 format and .csv format. 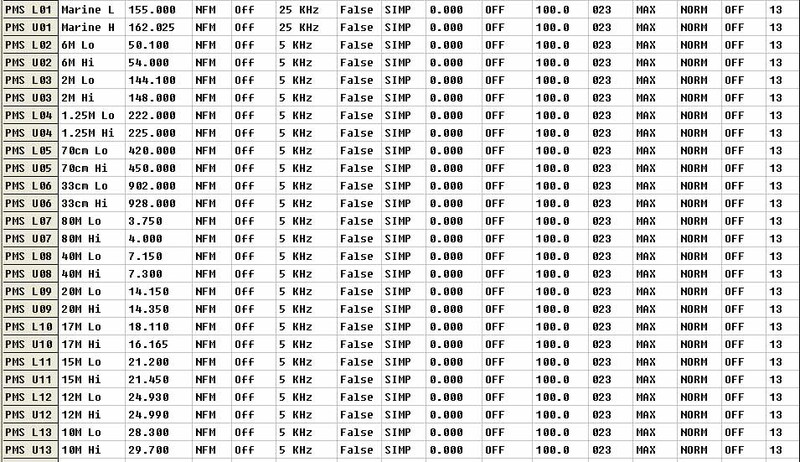 These files contain extensive lists of Colorado Ham Radio repeaters. Other Ham / Amateur Radio Related Links & Info. Colorado Connection Repeaters : Linked, statewide repeater system.